Biophilic Cities partners with cities, scholars, and advocates from across the globe to build an understanding of the value of nature in cities to the lives of urban residents. At the center of our work is a global collaboration of partner cities committed to working in concert to conserve and celebrate nature in all its forms and the many important ways in which cities and their inhabitants benefit from the biodiversity and wild urban spaces present in cities. Biophilic Cities acknowledges the importance of daily contact with nature as an element of a meaningful urban life, as well as the ethical responsibility that cities have to conserve global nature as shared habitat for non-human life and people. As a central element of its work, Biophilic Cities facilitates a global network of partner cities working collectively to pursue the vision of a natureful city within their unique and diverse environments and cultures. Initially launched in 2013, the Network has continued to grow with the addition of new and diverse partner cities. The fifth largest city in the U.S., Phoenix integrates nature into urban life in the arid southwest as an important aspect of its quality of life. The city is home to desert parks, mountain preserves, and more than 200 miles of trails. This includes South Mountain Park, one of the largest municipal parks in the country. A port city located in Western Australia, green spaces and interactions with nature are important to Fremantle and its vision for a city that values its environment and heritage. Curridabat is transforming itself into “Ciudad Dulce” (Sweet City) by cultivating pollinator habitat across the urban landscape. 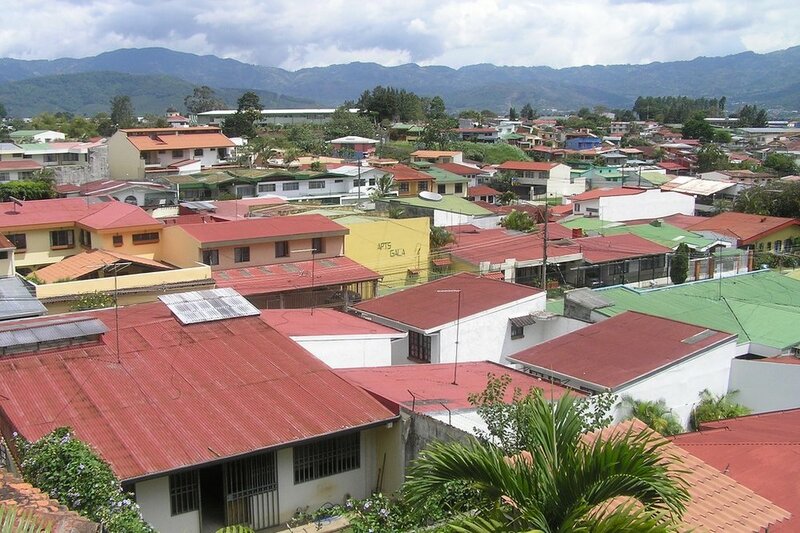 This initiative has received international recognition and aims to create new opportunities for access to nature in economically marginalized communities as it also engages these same communities in the co-design of public “sweetness spaces”. Through a wide range of scholarship and education, Biophilic Cities advances the theory and practice of planning and designing natureful cities. Biophilic Cities produces short documentaries showcasing the global biophilic communities and projects. These films provide a vibrant and immersive experience from which to learn about biophilia. Released this past year, Ocean Cities, a documentary film from Biophilic Cities Executive Director Tim Beately, explores the biophilic urbanism that is possible for cities perched on the edge of harbors and seas. Biophilic Cities webinars featuring community and government leaders and experts in biophilic planning and design. The webinars are diverse in scope and range from Dr. Kaberi Kar Gupta conservation of the Slender Loris primate in the megacity of Bangalore, to Lila Higgins’ investigation of citizen science in Los Angeles and ecologist Amy Savage’s research of ant diversity, invasions and diets across Manhattan’s urban habitat mosaic. Offering practical advice and inspiration for ensuring that nature in the city is more than infrastructure—that it also promotes well-being and creates an emotional connection to the earth among urban residents. 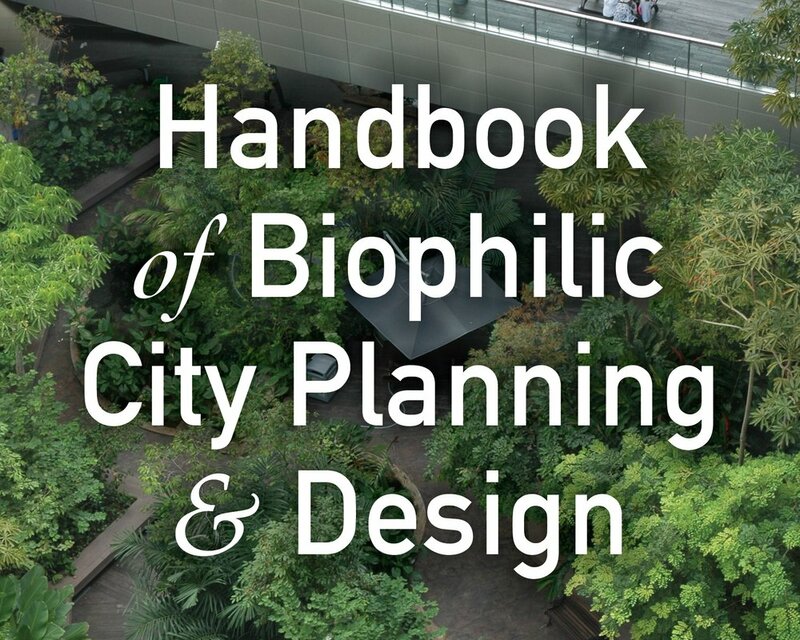 Providing an introduction to key ideas, literature, and theory about biophilic urbanism and highlights urban biophilic innovations in more than a dozen global cities. Biophilic Cities partners with city collaborators, to assess and monitor biophilic urban qualities and conditions, to identify obstacles and impediments to achieving more biophilic cities, and to identify and document best practices in biophilic urban design and planning. An investigation of legal and policy mechanisms adopted by cities to promote biophilic planning and design. As part of this effort, Biophilic Cities has begun to document principle examples of innovative legal practices as part of a database of legal codes. The Biophilic Cities Project is dedicated to promoting evidence-based policies and programs. With its partner cities, Biophilic Cities is compiling a library of metrics that measure the abudnance and accessibilty of nature. Biophilic Cities has partnered with the Center for Design + Health at UVA to launch the Healthy Cities Lab, which will connect urban planning and environmental design with public health practice to use data and evidence based methods to advance policy development and urban design for health and wellbeing. Dr. Guoping Huang has developed the Biophilic Cities Index to quantify human-nature interaction and to provide a metric for assessing the progress of partner cities towards aspirational goals.